THP & Mizuno have teamed up for a very cool contest to give one lucky THP member a brand new set of Mizuno irons fit to their specs. 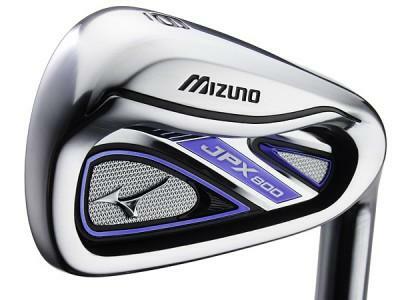 The winner of the contest will get a brand new set of Mizuno JPX-800 irons fit to their specs and shipped right from the company. An iron that many at the THP Demo Day were raving about. Many of our readers are familiar with our “Scavenger Hunt” contests, but those that are not, it is really quite easy. We will ask 3 questions and each one of them can be answered by browsing through the Mizuno website, their Facebook Page and/or their Twitter page. The links are provided next to each question as to where you can find out the answer. Each entry that is submitted with the correct answers, will be entered into a random drawing to pick out a winner of this fabulous contest. To get the rest of the details and enter the contest, click here. Best PGA Tour Players Without a Win? thanks Mizuno for this awesome contest!! and thanks to THP as always… i just got the MX-200 and love them… wouldnt mind the JPX-800!!!! Thank you Mizuno for a great contest. Also Thanks for sending some awesome gear to the THP Demo Day. Thanks to THP and Mizuno for a fun contest. Someone is going to get an excellent set of irons! I love to see how the number of golf brands participating in THP keeps growing. Thanks Mizuno and THP, another excellent contest! Of course I’m in! Thanks Mizuno and THP for the chance! Thank you THP and Mizuno. I am entered. Thanks again. Great contest – thanks, THP and Mizuno! Entered, thanks Mizuno and THP for such a great prize. Enjoyed the scavenger hunt and learned a lot about the JPX-800 irons! whoever wins these Irons will love them. I have a set and they are Awesome. Thanks mizuno and THP. awesome contest from THP and Mizuno. if i didnt already have jpx800 pros i would be entering this . good luck to everyone. I’ve never owned anything Mizuno, but these things look sweet! I have heard great things about Mizuno irons. Would love to win them. Awesome contest! Thanks THP and Mizuno for an opportunity to win some great clubs. I tried these at a recent demo day and was blown away! Great contest!! I’m in ! This is a great contest! Ill be getting my entry in tonight. Thank you THP and Mizuno!! one of my favorite irons at the last outing, special thanks to Mizuno and THP for making this happen! Great contest. Thank you again Mizuno and THP! P.S. Those JPX-800’s look very nice, especially in person.